The Honorable Tomoko Dodo, Acting Consul General, Consulate-General of Japan, spoke as part of the Opening General Session on July 5, 2013. Tom Ikeda, Founding Executive Director of Densho, spoke as part of the Opening General Session on July 5, 2013. Video of his speech will be coming soon! [Audio] Japanese American History Dramatized: Realized or Supersized? Through movie clips and discussions, this session examines how international audiences and our own community were able to visualize and better grasp the Japanese American experience in movies such as Go for Broke (1951), Farewell to Manzanar (1976), and Picture Bride (1994). During World War II there were a variety of different confinement facilities run by the U.S. government. In this lively forum, scholars respond to inquiries from the audience about the structure, designation, and purposes of these sites. 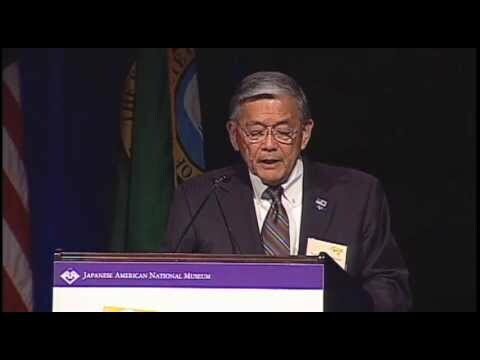 Alan Nishio, Board President of Little Tokyo Service Center, spoke as part of the Opening Plenary on July 6, 2013. Video of his speech will be coming soon. The Honorable Mary M. Schroeder, Senior Circuit Judge, U.S. Court of Appeals for the Ninth Circuit, spoke as part of the Opening Plenary on July 6, 2013. Video of her speech will be coming soon. The history of the community is really a compilation of unique family and individual stories that we all carry. This workshop will explore our communities' history and contextualize our own individual histories within a larger narrative. In other words, your story matters! This panel compares the Japanese Canadian and Japanese American postwar redress experiences through the voices of those who were involved in the movements. 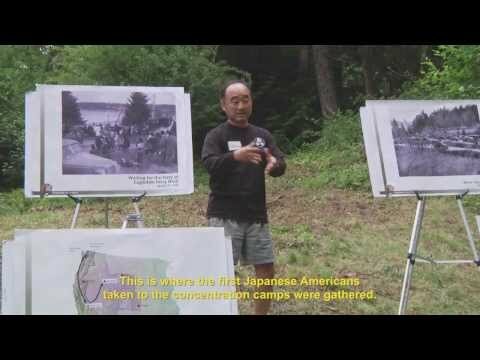 For many years, five War Relocation Authority concentration camp sites have incorporated pilgrimages into their commemorative process. This panel brings together multigenerational representatives from Manzanar, Tule Lake, and Minidoka pilgrimage groups to discuss the origins of the organizations, their achievements, and their plans for the future. The veterans from the 100th Infantry Battalion, 442nd Regimental Combat Team, and Military Intelligence Service played a lesser-known but major role in the redress movement. Their efforts in war and peace remind our nation to live up to its ideals of democracy, justice, and dignity. Too little is known about Japanese Americans living in the Pacific Northwest interior of Eastern Washington, Eastern Oregon, Idaho, Montana, and Wyoming. Panelists share what life was like for the Issei and Nisei in this region of scattered and less-populated Nikkei sites. Since the late 1960s, hundreds of taiko ensembles have been organized throughout North America. Today, the art form continues to connect people of different generations, regions, and cultural backgrounds. This multigenerational panel shares thoughts on the role of taiko in Nikkei activism and how it has shaped individual identities. Venture into the thoughts and emotions of the Issei who were interned in the Santa Fe Department of Justice camp. This hands-on workshop includes an opportunity for youth to write and present their own poetry. * No audio is available for this session. For many years, five War Relocation Authority concentration camp sites have incorporated pilgrimages into their commemorative process. This panel brings together multigenerational representatives from Amache and Heart Mountain pilgrimage groups to discuss the origins of the organizations, their achievements, and their plans for the future. The history of Japanese Alaskans and the Aleuts of the Aleutian and Pribilof Islands remains a relatively unknown story. 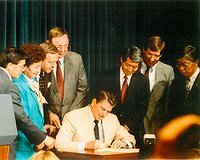 This panel reveals how their divergent histories converged on the road to the Civil Liberties Act of 1988. 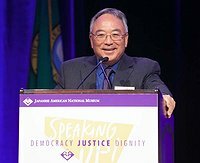 Eric K. Yamamoto, Fred T. Korematsu Professor of Law and Social Justice, William S. Richardson School of Law, University of Hawai'i, gave the keynote address at the Luncheon Banquet on July 6, 2013. Protest and dissent have historically constituted a robust strain within American history. This panel discusses the principled resistance by Issei, Nisei, and non-Japanese Americans during World War II. All conference registrants are encouraged to attend this closing session entitled, Looking Forward. Five presenters will share their diverse thoughts on how we can and must continue to weave the Japanese American experience into evolving national and international narratives. The five presentations will be followed by a moderated Q&A session. Lane Maki, student, spoke as part of the Closing General Session on July 6, 2013. Video of her presentation will be added online soon! Craig Ishii, Executive Director of Kizuna, spoke as part of the Closing General Session on July 6, 2013. Video of his presentation will be added online soon! Masako Iino, Past President and Professor at the Tsuda College, spoke as part of the Closing General Session on July 6, 2013. Dr. Greg Robinson, Ph.D., Professor of History at the Université du Québec À Montréal, spoke as part of the Closing General Session on July 6, 2013. Dr. Sybil Jordan Hampton, Retired President of the Winthrop Rockefeller Foundation, spoke at the Closing General Session on July 6, 2013. A moderated Q&A session at the Closing General session. 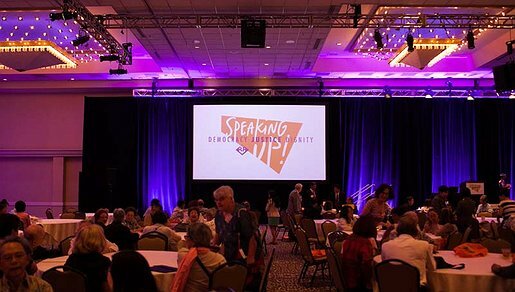 The Japanese American National Museum organized the National Conference "Speaking Up! Democracy, Justice, Dignity" from July 4 to 7, 2013 in Seattle, Washington. JANM — 更新日 3月 24 2014 2:58 p.m.